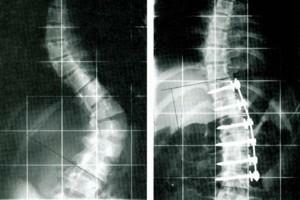 The spine is subject to high mechanical stresses during daily life activities. Punctual forces prevailing at a single disk may be higher than 400kp. Without the support of the muscles, the spine can stand only forces of about 5kp. The spinal column is hence a rather instable part of the body and gets firm only due to the muscle corset. Physical rest weakens the spine and leads to a subtle “deconditioning”. Hence – especially for patients with chronic and refractory pain - strengthening of the back muscles is a pivotal therapeutic aim. The muscles that stabilized the spine are very small and superimposed by the large leg and buttock muscles. If these small back muscles shall be trained, they must be isolated and the big neighboring muscles must be “turned off”. This is feasible only with the MedX-system. For efficient therapy 12-18 sessions - one or two per week - will be necessary. In 87% of all patients a significant pain reduction or even elimination could be obtained. About 96% of the patients treated in Munich stated, that they were satisfied with the therapy, subjective pain reduction was on average 57%. Even after 12 to 24 months after the therapy the attained pain reduction and strengthening effects were fully maintained. Compared to efficiency of conventional therapy in chronic back pain patients, these results are very promising. Dr. Brian Nelson from Roseville-Clinic in Minneapolis, USA could show that this strengthening therapy may even help to prevent surgical intervention. In a clinical trial with 421 patients that were already scheduled for surgery, the intervention could be avoided in 91,5% of the study participants after an intensive MedX strengthening program. Only 8,5% of the patients underwent surgery within 30 months after start of the study. Within the context of postoperative rehabilitation after spinal interventions. The medical strengthening therapy for the cervical spine is a relatively new therapeutic option and is quite similar to therapy for the lumbar spine. 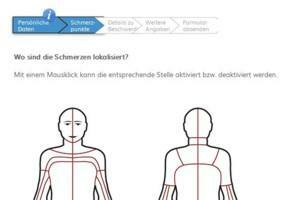 The cervical spine is stabilized with the so called “tension boom” principle. The stronger the muscles, the less slide the vertebrae and the less frequent are irritations of the ligaments. An increase in muscle tone comes along with stability and better compensation if rotational or bending forces act on the neck. Locking up of joints is hence prevented. The opposite of muscles tension is muscle tone! An intensive and isolated strengthening and scientifically verifiable and reproducible quantification of the muscle tone of the cervical spine is so far only feasible with the MedX therapy system. Patients are individually cared for by specifically trained therapists that are all specialized in spine stability. They are in constant contact with acknowledged rehabilitation institutions – mainly in the US. Most recent results from scientific research are readily integrated into daily practice and continuing education of all staff members is guaranteed by their regular participation at conferences and workshops. During the last years the MedX therapy has grown to a well established therapeutic option worldwide. Altogether almost 22.000 patients have been diagnosed and treated up to now. ... has proven very efficient for smaller disk herniations causing very severe back or leg pain, for patients suffering from scarring after a discectomy and for minor degenerative spinal stenoses. A spondylodesis (fusion or stiffening surgery) should always be considered as a last resort, as it is an irreversible surgical intervention. 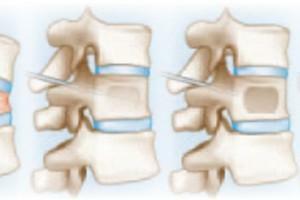 The affected segment of the spine will be aligned and stiffened (fusion, spondylodesis) simultaneously. 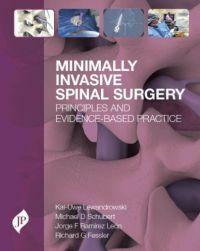 Aim of balloon kyphoplasty is to re-erect and stabilize a compressed vertebral body. This is important as otherwise micro movements will irritate the periosteum (the membrane that lines the outer surface of all bones) and this is a main cause of severe pain. The intervention is carried out in a position such that the curvature of the spine is already leading to erection and decompression of the vertebral body.